Inspiration for interior design and finishes . . . it is everywhere! Many times it comes from something we see. It can even be generated from a simple verbal suggestion. For example, while exploring creative options for white cabinetry in a great room, a designer was searching for a faux finish that would be organic in nature. 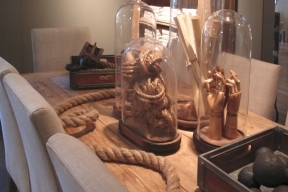 This client’s home was a treasure chest of unusual textures and rich earthy colors. Just plain paint wouldn’t do. It called for something beyond ordinary. . . something warm, something inviting and something unique. 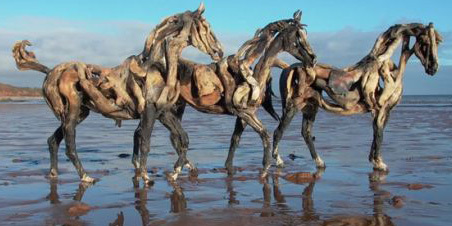 Mention was made of driftwood . . . and the challenge was on!!! 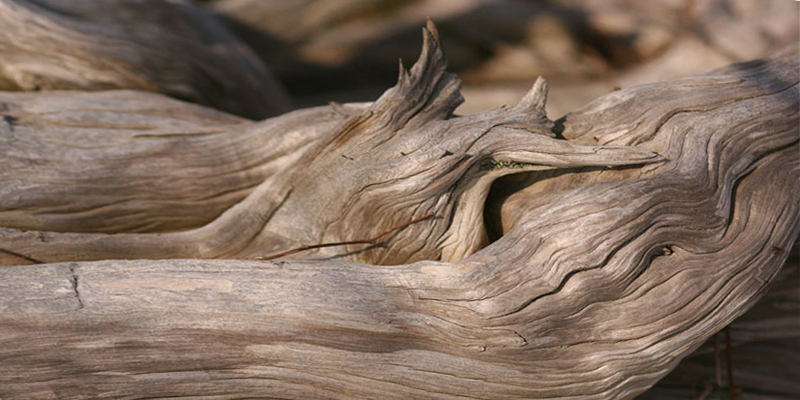 Driftwood is different from barn wood. 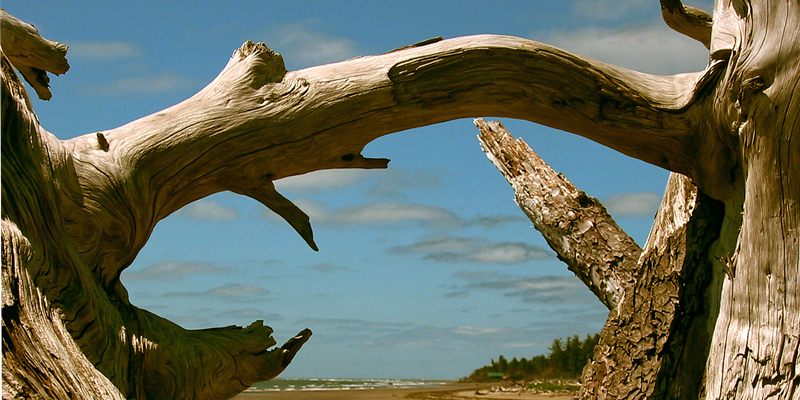 Eliminating any interference from man, these branches have been free to twist and turn without restraint. The result is graceful curves, rich texture and magnificent depth of colors. Each piece takes on its own unique personality that ultimately becomes nature’s work of art. To fully experience this “chic organic” style, a visit to Restoration Hardware was in order. 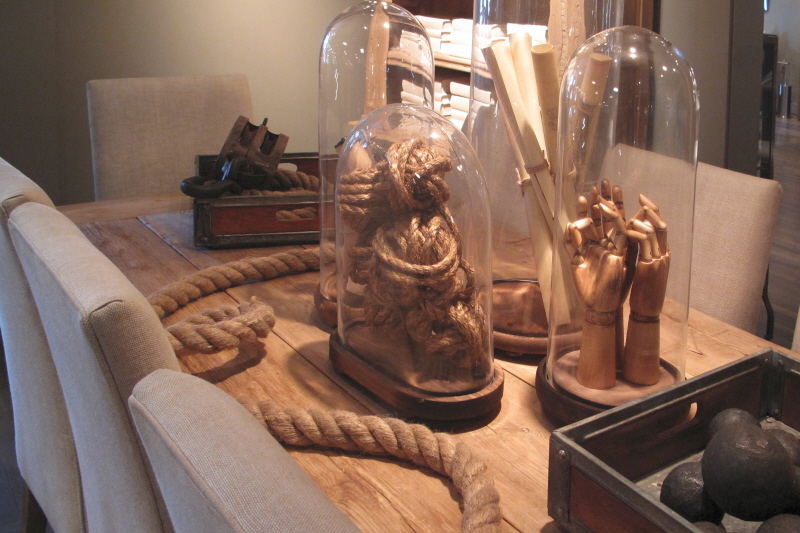 The showroom revealed ideas of how to incorporate natural elements that compliment a deep neutral color palatte. Using hues of brown, gray and tan, dramatic textures and clever accessories have been celebrated creating an environment of intrigue. It was hard to resist the desire to touch every fascinating detail! 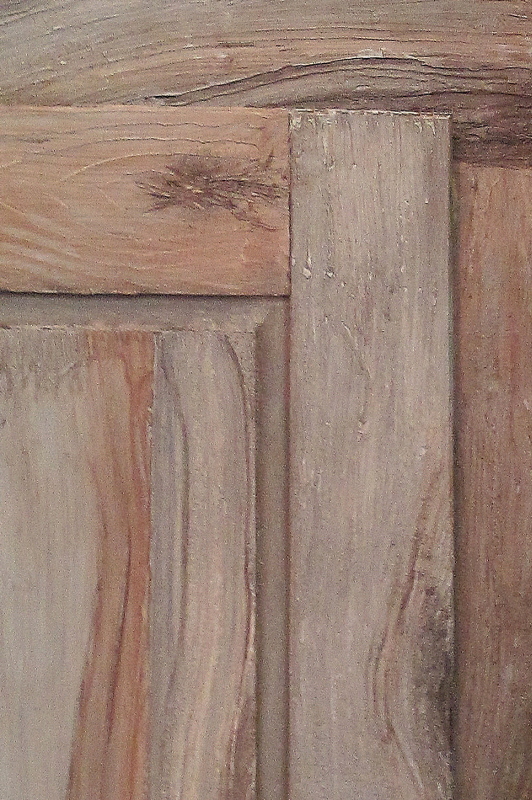 The test was to translate this concept into a faux finish that could be applied over plain white cabinets. 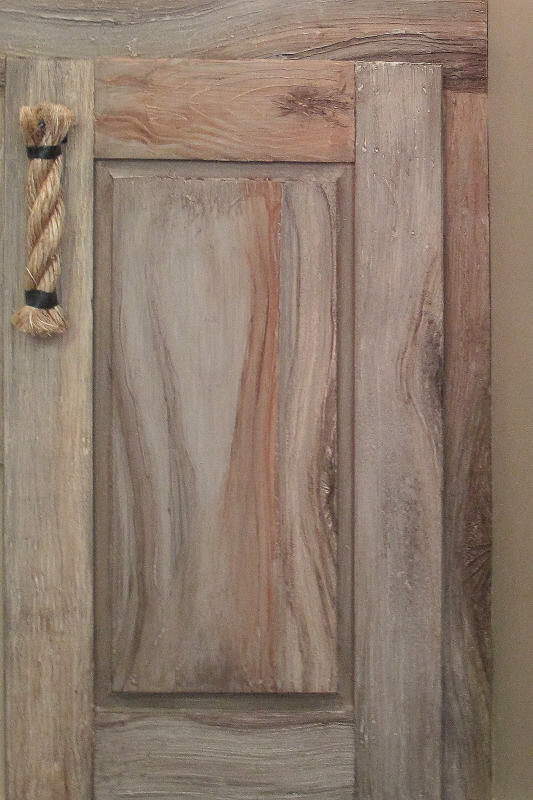 The process evolved into a 3 dimensional faux bois (faux wood grain) that is reminiscent of driftwood. Having control of details such as the amount of texture, the variety of colors that can be used and the exact placement of each curve, offers the ability to provide infinite possibilities. 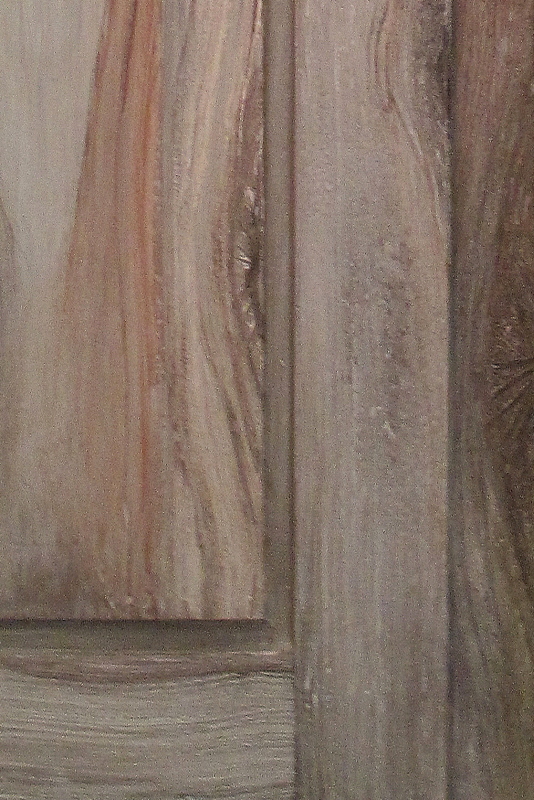 This cabinet finish can be perfectly blended with other organic features in a space. What an unexpected and rich compliment to stone, granite, tile and fabrics! 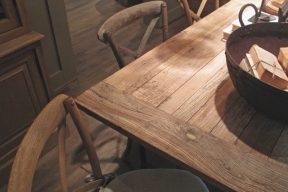 The unusual texture offers a warm invitation to gather in any space. As a decorative artist, it is always an honor to create an interpretation of the greatest artist of all. So what do you think . . . would it fool Mother Nature? Let me know. Do you have cabinetry that could become something special? Make it an unexpected feature that everyone wants to touch. For more cabinet transformations, visit www.kasswilson.com. without a doubt one of the most beautiful cab finishes I have seen! AND so undeniably KASS! and yes MOTHER NATURE would be impressed!!!! Wow, great job, I love old shore worn wood, great replacation. MN would be very impressed! Again, and as always beautiful! So realistic! I had to look and read again to confirm you said it could be done on white cabinets because the texture of rough would looked so real. I commend your effort and the outcome! Wow, you captured the subtle colors and bold texture of this awesome child of Mother Nature. And, the rope pull is the perfect addition and fit to the overall composition. I’m in AWE of your talent, Kass! So perfect for this project!